Stir Trek 2019 will take place at the AMC Easton Town Center 30 on Friday, April 26th. If you joined us in 2018, it's the same great location! We have funds available to help with some travel expenses. Please email speakers@stirtrek.com and we'll see what we can do! Stir Trek is a one-day conference focused on teaching software developers, and others in the industry, the latest and greatest in technologies, techniques, and tools. The full day of content is always concluded with a screening of a blockbuster film on its opening day. Pretty sweet, huh? We are very pleased to announce that for the first time, we’re able to offer every speaker $250 for reimbursable travel. We hope this makes it easier for potential speakers to come be a part of Stir Trek! Allowed expenses include transit, hotel, and fuel. 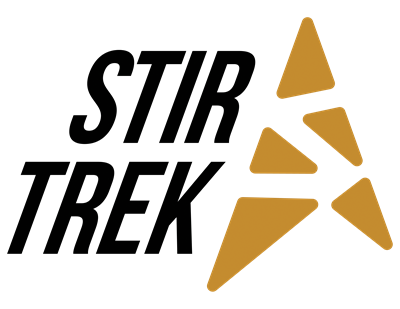 If you have a different expense you’d like to include, please email speakers@stirtrek.com. You’ll need to book your own travel reservations and submit a receipt on or after the day of the event to get reimbursed. Yes! We want Stir Trek to be open and awesome to everyone. Please take a look at our policies and email us at codeofconduct@stirtrek.com if you have questions that aren't answered. When in doubt, submit it anyway! Sessions are 60 minutes in length. We have 6 time slots with 8 sessions each. We will reimburse up to $250 of travel expenses (flight, hotel, fuel). Receipts must be provided at or after the conference.